Are you looking for something special for your Grade 8 students for an end-of-the-year or graduation gift? Follow the 2013 example of Jeannette Voss of the Waldorf School of Lexington and order our comprehensive, annotated Waldorf High School reading list, Books for the Journey, for each student. This invaluable, 346-page resource was compiled by Anne Greer, John H. Wulsin, Jr., and Pamela Fenner from lists from 30 Waldorf High Schools. To see sample pages and to view table of contents, click here. 8th grade class funds, graduation budget, the school Parent Association or a personal gift from the class teacher. In some cases, the Grade 8 parents collectively have funded the purchase. 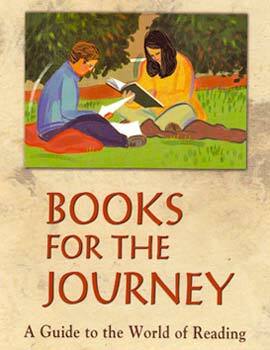 —“Books for the Journey” is a guide especially for traveling the world between childhood and adulthood. This journey is rarely easy; happily, books can be sources of enlightenment, comfort, knowledge, understanding, and even wisdom along this often tumultuous landscape. —Good reading is about expanding our capacities and about understanding what it means to be human — whether fiction or history, poetry or biography, art or science. Through reading, we come to know the world in which we live. —But, most of all, especially as a teenager, reading allowed me to glimpse new possibilities and to explore the mystery of what it means to be a human being in all its myriad shapes and forms. Don’t let your students leave 8th grade without it. This entry was posted in News and Announcements, Pam's Perspectives and tagged High School, Homeschool, Reading List, Spring. Bookmark the permalink. Both comments and trackbacks are currently closed.